Tips for Leasing Office Space | Property Management, Inc.
Moving into a new office space is an exciting milestone for any growing business. Whether your business is just beginning to bud or you're already running large-scale operations, understanding how to rent a business space successfully can unlock incredible potential for your company's future. Researching how to find office space in your area is not particularly tricky on its own. However, you may run into some challenges when it comes to finding a lease that does not compromise your budget while also giving you the location and amenities you require. Additionally, the lease-negotiation process can seem overwhelming to new tenants who don't know the right questions to ask — questions that will ensure that both parties fully understand the agreement and are content with it. Here are 11 steps to finding a property and signing a commercial lease, with some tips on minimizing costs while still getting what you need. Kicking off the relocation process begins with setting time and cost parameters. As with any worthwhile business goal, it is vital to start by creating a plan well before you take action. Give yourself specific targets for when the new move-in date should be and how much money you will invest in relocation and new occupancy costs. Working ahead of the game doesn't stop during the planning phase, though. Taking actions such as visiting possible new locations or contacting a property management company for advice early on also has advantages. Being proactive enables you to figure out how to lease your office space effectively — before an impending lease expiration leads you to make a rash and potentially costly decision. Start evaluating properties and considering your options well before the time to move in arrives. It may seem unnatural for even the smallest business to begin negotiating months and months in advance. But with transaction complications, relocation processes, communication delays, and other unpredictable factors that could prevent timely progress, it is crucial to give yourself plenty of time to select a new office space and determine a lease agreement. Six months is the recommended amount of time for small tenants, while larger companies should expect to begin evaluating options up to three years before their current lease expires. When it comes to budgeting for relocation, you have to consider not only the cost of relocation, including cleaning and cancellation fees and the purchasing of new equipment, but you also should create a plan for the long-term effects of your new monthly payments. While drawing up your strategy, determine a price that will allow you to maintain operations comfortably. Stick to this price as strictly as you can. In the negotiating phase of securing a lease, the final step in this guide, you will determine what fees you will be responsible for, but in the budgeting phase, it is vital to be aware of the possibility of paying for more than just base rent costs. 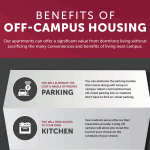 The factors that affect both your base rent and CAM charges the most are location, building type, and additional amenities. These are often non-negotiable necessities for your business to operate effectively. Aim for Longer-Term Leases: Grant yourself more bargaining power by opting for a more lengthy lease term. With the potential for a long-term contract, proprietors will likely be willing to negotiate on rent costs and fees. If you're shooting for a one-year lease, on the other hand, you will probably have very little control over your payments. Avoid Downtown, High-End Locations: For some industries, the most highly-trafficked and expensive parts of town end up being the best rental options, as the influx of business makes up for the higher prices on rent. However, for those looking for a more economical alternative, there are suburbs and growing neighborhoods with new office buildings that are on the lookout for local businesses to move in. If your company doesn't require being in a highly active or central location, consider offering the value of your occupancy to these up-and-coming areas for a more competitive rate. Ditch the View: Office spaces with windows run more expensive than interior spaces without. If your budget is slim, it might be worth considering. Alternatively, you can select a windowed office with a less extravagant view to still have that natural light at a more affordable cost. After determining your budget restraints, and while keeping these helpful tips in mind, it's time to start brainstorming the non-negotiables that your office space must have to further the growth of your organization. You're thinking ahead, and you've settled on a suitable budget. Now it's time to think through your current business needs and imagine what sort of possibilities a new office space could offer to help you grow. While there are many ways to do this, we recommend beginning to put together a running list of the ideas that come to mind, while making a note of the most important ones. This comes in handy not only during the brainstorming phase but also later on during negotiations. The easiest way to keep track of your must-haves is to create a well-organized list of amenities that you would like to see offered in your new space. Within this commercial lease checklist, you should have a section of non-negotiables, which will help you quickly rule out selections that would inhibit your productivity. Possible items to add to your running list include the following, although you may find that there are plenty more not listed that are high-priority for your specific business endeavors. Apart from settling for rent prices that are too high for their budgets, having an inadequately-sized area is the most common mistake new tenants make. You don't want to have an office space that is too crowded or stuffy for work to get done efficiently. At the same time, make sure you account for business growth without overestimating how much space you will need to accommodate it. Fortunately, there is a method for determining this soft middle ground. Instead of dealing with the messiness of guesswork, get your calculator out and use recommended square footage numbers to establish a baseline estimate of what you will need. Class A buildings are at the high-end, offering top-quality appearance for impressing high-profile clientele. Typical tenants of these high-rise establishments include top-notch law and financial firms. Standard amenities include elegant fixtures, superior internet wiring, and other luxuries. Naturally, the rental price per square foot in Class A buildings reflects these above-standard accommodations. Class B buildings offer lovely spaces at around 30% lower rates than A-grade buildings. They're ideal for those who can forego luxury but still want to provide sleek, upscale comforts. These buildings are sometimes former A-grade establishments that have visibly aged or become slightly outdated, while other times they are intentionally constructed to be functional and comfortable without offering exorbitant rates and expensive frills. Most small businesses can find their target standards in a B-level building. Class C buildings are often over ten years old and provide general workspaces for businesses that don't require the latest technologies. Out of the three grades listed here, Class C offers the most affordable prices. While these building classifications are not strict rules, they help you set expectations for properties as you start exploring opportunities. Not only does the total office space need to be big enough to fit your team, but the design should also accommodate the various sizes of your departments. It should give everyone an area to sit and work alongside their co-workers in their respective units. Using a list of physical assets you already have on hand or will need to provide, like desks and chairs, can help you draw out the floor plan and give you an idea of about how you will set up your office space once your lease is signed. There are many possibilities to consider when it comes to workspace layout. For example, would you prefer an open or cubicle-based design? Depending on your office's workflow style, you may find that you need a variety of layouts to accommodate departments that function differently than one another. You will also want to add shared areas or conference room availability to your checklist. Do you want a kitchen and designated break room? There may be times when you will want to be able to address the group at large, have big meetings, or enjoy a meal or party together, and you will need a sizeable area to do so. How much electrical power will be sufficient? How many wall outlets do you need? What does adequate lighting look like for your business? What standards of air conditioning and central heating do you expect? Are you prepared to cover utility costs or maintenance fees to keep them functioning? Creating a section on your checklist relating to utilities will come in handy when the time comes to negotiate responsibilities for your lease since the costs for these services are often considered part of CAM charges. Parking and bicycle storage are factors that are sometimes overlooked but could not be more important. Adequate available parking affects your chances of everyone arriving to work on time without added stress. Do you need a way to frequently and conveniently receive packages? 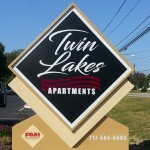 Do you require signage on the exterior of the building? What kind of alarm system is appealing to you? This guide is merely a reference point, but there's still one major factor we have yet to address. You may have noticed that there is an essential part of relocation strategy that we have not discussed yet in depth although it's likely the most influential one of all — the location of your new office. One of the most crucial items on your checklist is specifying the right location. It should come as no surprise that location can make or break any high-scale business endeavor. For the sake of cost, we have already addressed how downtown or high-end real estate areas can either be problematic or beneficial depending on the industry of the business. Apart from the effects location has on rent prices, there are numerous location-related criteria to consider when determining the place on the map for your business space. Because it can take considerable time to flush out your requirements for this category, we've compiled a few characteristics of ideal office locations. Convenient for Employees: Finding a location that is easy for your primary workforce to get to brings enormous benefits. Employee satisfaction will be much higher without a problematic commute. Strategically Placed for Recruiting: If you're still building your team, it can be a good idea to look for a centralized location that is well-suited for drawing in new talent. In an area populated with aspiring potential, your strategic location could be what persuades recent new hires to stick around. Attractive and Accessible to Clients: Your building and location create an impression of your business to those who enter. If your business involves bringing clients into the office on a regular basis, you will want to consider a location that is easy to find and in a part of town that is pleasant. For clients to trust your financial stability, shoot for a middle ground between extravagant-looking exteriors and ones that are falling apart. Proximity to Public Transportation or Highways: Depending on the city you are in, either public transit or major interstates are essential pathways for people visiting your company location. Your field of work could also influence what kind of transportation your typical client uses. Consider which would be more beneficial and begin tagging areas that would provide quick and convenient access. Close to Amenities and Helpful Businesses: If your business requires trips to the post office throughout the day, it would be beneficial to be in the vicinity of one. Similarly, if your staff enjoys going out for lunch and coffee, you may want to consider a location with these amenities nearby. Choose a site that is conveniently located near other helpful businesses to streamline your daily activities. Whatever location perks you decide on, don't compromise your preferences once you've made your picks. Both you and your employees will be grateful for the way you've considered everyone's needs. After establishing a radius for good office locations, embark on a search to find four or five quality office space options. These spaces should all fit your needs and align with your checklist items. Consider getting in touch with Property Management, Inc. or another local broker for extra assistance in evaluating the locations, especially if you're just getting started. Some tenants make the mistake of putting all of their eggs in one basket and settling on a location early on. This hasty decision-making eliminates other possibilities with which you could compare and contrast. If you spend enough time going through your options, you may find it surprising which of your top five provides the highest number of checklist items. As you sit down to discuss lease options with a property manager or landlord, pull out the checklist you've created, and go through each of your preferences and concerns. Be sure to address commonly forgotten questions that can have a significant impact on daily life at the office. For the most part, the negotiation process is about determining your monthly rate as well as gaining a mutual understanding of what you can and can't customize on the property. Use your checklist to go over utility costs, layout possibilities, parking requirements, and other amenities you have outlined. Ask simple questions and expect simple answers so that everyone is on the same page. The best way to establish mutually beneficial relations with your property manager is to work with people whose goals align with your success. The most effective property management companies will know how to find office space for small businesses and large organizations alike while exceeding customer service expectations. In this regard, there is no one more reliable than Property Management, Inc.
As the premier property management company in Central Pennsylvania, Property Management, Inc. is dedicated to pairing you with the right rental property and providing the best customer service in the industry. At PMI, we will help you navigate your choices to determine the best space and location in which to grow your organization. Along with meeting your financial and functional business requirements, our staff is ready to assist you with maintenance and service needs around the clock. Check out our selection of office spaces available to rent, and see just how enjoyable it is to discover new opportunities in Central PA.